This originated in France in 1826 (presumably from open-pollinated seed since hybrizing was not then understood) and suggests R sempervirens as a possible parent. Of extreme grace, the lax clusters hang down. 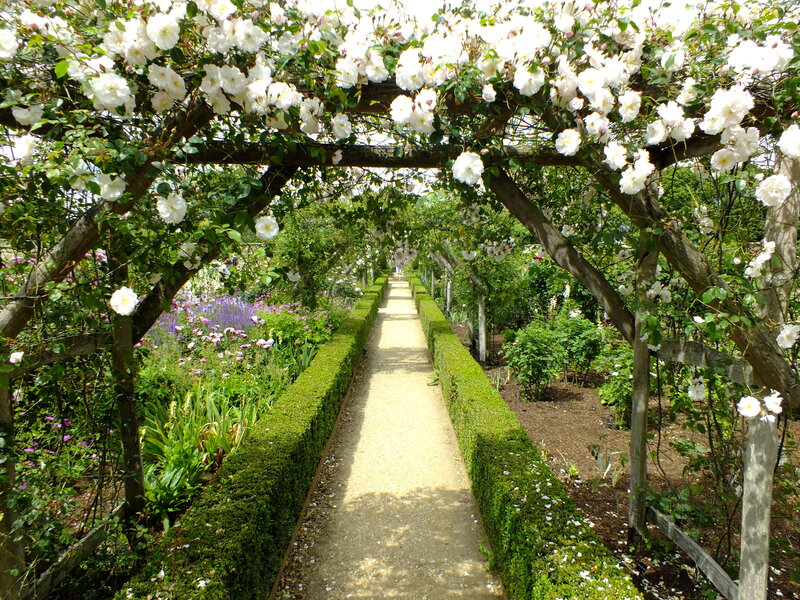 It would not reveal is beauty if trained on a wall, so it is best over an arch or a tree (the arches at Mottisfont are made from stripped sweet chestnut, with its bases soaked in preservative). There is one overpowering crop of blossom with the delicate scent of primroses. dead-heading is not necessary and little pruning is required – just removal of old branches and the tying in of new ones. Raised by David Austin, Wolverhampton, in 1961, this rose is a hybrid between an old Gallica Rose, Belle Isis, and a floribunda, Dainty Maid. Even with wild imagination, David Austin could not have conjured up anything so beautiful from its parents. The flower harks back to the most sumptuous of Old Roses and has the fragrance of myrrh, known in only two roses of earlier origin, neither of which is in the parentage. But is a new colour could crop up in the 1920’s, why not a new scent in the 1960s? The lax growth is unmanageable as a bush; it is therefore best on a wall or support. 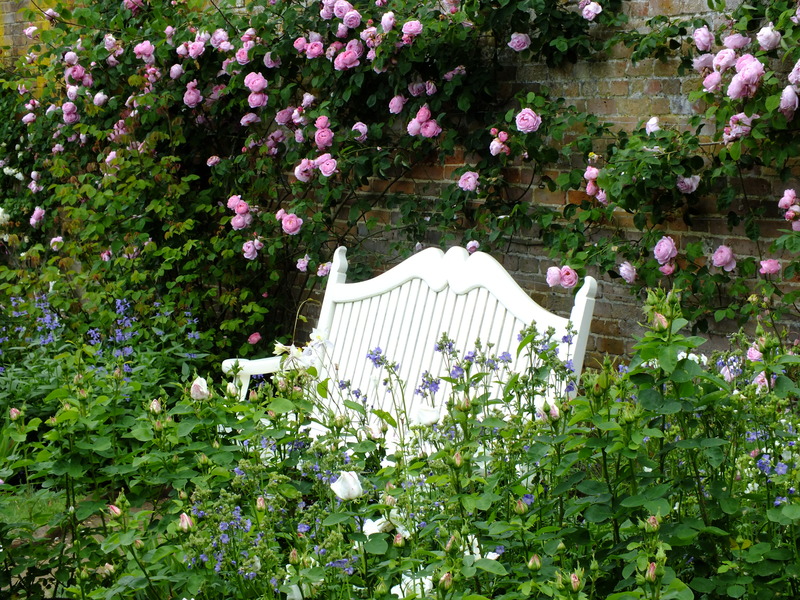 It covers the wall behind the elegant white seat; this is a good focal point, drawing the eye to the wonderful rose that acts as its backcloth. Growths that have flowered should be shortened, old wood removed and new growths tied back in winter.